On 2 October 2013, the Open Group ran one of its occasional ‘TweetJam’ Twitter-discussions – also known as an #ogChat. This time it was on digital disruption – disruption to existing business-models, typically (but, as we will see, not only) by changes in technology. I think I captured almost all of the one-hour conversation – all tweets tagged with the #ogChat hashtag – but I may well have missed a few here and there. I’ve also attempted to bring the cross-chat (@soandso references) into correct sense-order, but I’ll admit I’m likely to have made more errors there. Each text-line is essentially as published on Twitter, minus the RT @ prefix and the identifying #ogChat tag. The legal bit: Copyright of each statement is as per Twitter’s published policy: I make no claim whatsoever to any of the tweets here other than my own (i.e. tetradian). The material is re-published here under ‘fair-use’ rules for copyright, as a public service to the enterprise-architecture community. The TweetJam was split into seven sections, each guided by a question previously summarised on the Open Group website – see Open Group, ‘Leading Business Disruption Strategy with Enterprise Architecture‘. I’ve also added a few extra comments of my own after each section. dianedanamac: Good day! 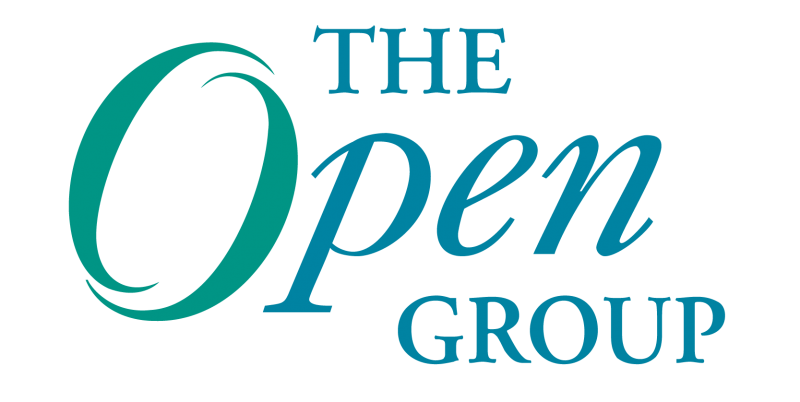 Social Media Manager, Membership & Events at @theopengroup I’m your contact if you have questions on The Open Group. Question 1: What is ‘disruption’? TheWombatWho: A1 agree with @tetradian but add that it is normal state of things. chrisjharding: @TheWombatWho Yes we live in disruptive (and interesting) times. DadaBeatnik: A1: To disrupt doesn’t mean more of the same. Example – iPhone was a true disrupter – no more Blackberry! TalmanAJ: A1: Business disruptors offer new business model(s). tetradian: . @TheWombatWho: A1 “…but add that [disruption] is normal state of things” – problem is that many folks don’t recognise that! Note an important point that’s perhaps easily missed (as some responders in fact do): that ‘disruption’ may include technology, or may be driven by technology – but that’s not always the case at all. Consider, for example, the huge disruption – on a literally global scale – caused by financial deregulation in the US in the 1980s and beyond: changes in law, not technology. Question 2: What is ‘digital disruption’? theopengroup: Q2 Some interesting views on disruption, but what then, is #DigitalDisruption? Technodad: @TalmanAJ Agree – but digital disruption also invalidates existing business models. zslayton: @enterprisearchs #cloud = effortless scalability…a bit of an over-simplification but I do get your point. TheWombatWho: @enterprisearchs its where work of Marshall McLuhan is worth a revisit. DadaBeatnik: Some of these answers sound like they come from one of those buzzword phrase generators! InfoRacer: @DadaBeatnik Like Predictive big cloud master data governance Surely the next big thang! David_A_OHara: @chrisjharding @eatraining yup, we have lived through a rapid (tech-enabled) social revolution almost without realising! Technodad: @David_A_OHara Agree – Near-ubiquitous global-scale communication channels changes balance between customer and enterprise. chrisjharding: @David_A_OHara @eatraining yes – and it’s not finished yet! David_A_OHara: @TheWombatWho Bang on! so there’s the real challenge for EA, right? Changing the traditional IT mindset…? In my experience and understanding, most of so-called ‘digital disruption’ is more correctly in the latter category, not the former. Hence, for example, my comment about the [UK] Government Digital Service: it’s actually far more about changes in the nature of government-services itself – in effect, a much more ‘customer-centric’ view of service – rather than a focus on ‘going digital’ for digital’s sake. 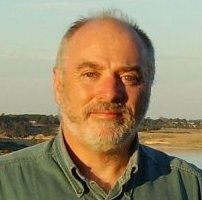 This is not to say that the technology doesn’t matter – for example, I do understand and agree with Andrew McAfee’s complaint about critiques of his ‘Enterprise 2.0′ concept, that “it’s not not about the technology” – but again, it’s more sociotechnical, not merely technical as such, and that distinction is often extremely important. Question 3: What are good examples of disruptive business-models? David_A_OHara: @enterprisearchs @Groupon Here’s retail disruption: why cant I just walk into store, scan stuff on my phone and walk out with it? InfoRacer: A3 Expedia, Travelocity etc … where are High st travel agents now? Technodad: @enterprisearchs Disagree. ITunes was the enterprise consolidation -original disruption was peer-to-peer delivery of ripped music. chrisjharding: @David_A_OHara @enterprisearchs @Groupon or plan a mixed bus/train journey on my ‘phone and download tickets to it? TheWombatWho: @tetradian Great example. UK Gov digital is fascinating. Take that approach & apply it to competitive commercial enviro. eatraining: A3 Nespresso – getting us to pay 8 times more for a cup of coffee. zslayton: @Technodad @enterprisearchs Maybe. But now with Google, spotify etc, a new model has emerged. As enterprise-architects and business-architects, we really do need to break out of the seemingly-reflex assumptions of IT-centrism, and learn instead to look at the contexts from a much broader perspective. For example, a common illustration I use is that the key competition for Netflix is not some other streaming-video provider, but booksellers, bars and restaurants – other types of services entirely, but that compete for the same social/time-slots in potential-customers’ lives. Question 4: What is the role of enterprise-architecture in driving and responding to disruption? zslayton: A4 #EntArch must steer the IT ship to adapt in the new world. steady hand on the tiller! zslayton: @chrisjharding Absolutely. Focus on commoditized tech will lead to lagging IT. Focus on differentiators is key. Technodad: @TheWombatWho yes, but a tough job- how would #entarch have advised Tower Records in face of digital music disruption, loss of ROE? Question 5: Why is enterprise-architecture well placed to respond to disruption? theopengroup: Q5 And on a similar note, what is the role of #EntArch in driving and responding to #disruption? InfoRacer: A5 Advising, giving informed analysis, recommendations & impact so the Business officers can make decision with their eyes open! zslayton: @enterprisearchs Agreed. Toss in leadership and we may have something! TheWombatWho: @Technodad key is “why was tower special?” Advice, passion & knowledge…..still relevant? Not the music – was the knowledge. zslayton: @Technodad @TheWombatWho Netflix again a good example. Cannibalized their soon to be dying biz to innovate in new biz. TheWombatWho: @David_A_OHara @Technodad HMV interesting – wasn’t retail store a response to original disruption? TheWombatWho: @zslayton @David_A_OHara @Technodad and value opportunity is how to keep finger prints off the screen!!!! TheWombatWho: @David_A_OHara @Technodad so accessing content is not where value is? Where is the value in that arena? Technodad: @zslayton Exactly. Decision to dump physical & go all-in on digital delivery & content was key. Wonder if #entarch led change? In a sense, the same as for Question 4: the too-usual IT-centrism is not so much in apparent evidence. Yet actually it is: I don’t think there’s a single example that moves more than half a step outside of some form of IT. Where are the references to EA for smart-materials, smart-sensors, nanotechnologies, changes in law, custom, even religion? – they’re conspicuous only by their absence. Again, we need to stop using IT as ‘the centre of everything’, because it really isn’t in the real-world: instead, we need to rethink our entire approach to architecture, shifting towards a more realistic awareness that “everything and nothing is ‘the centre’ of the architecture, all at the same time”. Question 6: Who are the key stakeholders enterprise-architecture needs to engage when developing a disruption strategy? theopengroup: Q6 So who are the key stakeholders #EntArch needs to engage when developing a #Disruption strategy? eatraining: A6 Welcome the arrival of the CDO. The chief digital officer. Is this the new sponsor for EA? zslayton: @Technodad emphasizing partnership and alignment between Tech #entarch and Biz entarch. Technodad: @mjcavaretta Do you think replacement of knowledge workers by machine learning is next big disruption? I’ll say straight off that I was shocked at most of the above: a sad mixture of IT-centrism and/or organisation-centrism, with only occasional indications – such as can be seen in Craig Martin’s plea of “The Customer!!? ?” – of much of a wider awareness. What we perhaps need to hammer home to the entire EA/BA ‘trade’ is that whilst we create an architecture for an organisation, it must be about the ‘enterprise’ or ecosystem within which that organisation operates. Crucial to this is the awareness that the enterprise is much larger than the organisation, and hence we’d usually be wise to start ‘outside-in‘ or even ‘outside-out’, rather than the literally self-centric ‘inside-in’ or ‘inside-out’. Question 7: What current gaps in enterprise-architecture must be filled to effectively lead disruption strategy? theopengroup: Q7, last one guys! What current gaps in #EntArch must be filled to effectively lead #Disruption strategy? zslayton: @efeatherston @Technodad Proactive disruption! Technical tools to enable and anticipate change. Great example. zslayton: A7 #entarch involvement during the idea stage of biz, not just the implementation. True knight at the round table. zslayton: @eatraining Agreed! Balance Biz #entarch with Tech #entarch. Technodad: A7 #EntArch can’t lose role of tracking/anticipating tech change, or business will be blindsided by next disruption. tetradian: RT @enterprisearchs: A7 #EntArch needs to move beyond an IT mandate -> yes yes yes!!! TalmanAJ: @tetradian Yes. Technology is just one aspect of the enterprise. Processes, strategies and people etc. are too. eatraining: @TheWombatWho Roadmap and plans implemented don’t show the true value because stakeholders shift back to old behavior habits. DadaBeatnik: Never did understand the obsession with IT in #Entarch. Why is this? Not all biz IT-centric. Because of tools/language? TheWombatWho: @DadaBeatnik accident of history? TalmanAJ: @DadaBeatnik Could be historical. Origins of EA are in IT, EA function usually is in IT and EA people usually have IT background. At least here we did see more awareness of the need to break out of the IT-centric box: it’s just that so many of the responses to the previous questions indicated that much of EA is still very much stuck there. Oh well. But, yeah, good signs that some moves are solidly underway now, at least. One point I do need to pick up on from the tweets above. Yes, I’ll admit I somewhat dropped back to my usual rant – “kill off the obsession with IT!!! ” – but please, please note that I do still very much include all forms of IT within the enterprise-architecture. I’m not objecting to IT at all: all that I’m saying is that we should not reflexively elevate IT above everything else. In other words, we need to start from an awareness – a strictly conventional, mainstream systemic-awareness – that in a viable ‘architecture of the enterprise, everything in that ‘ecosystem-as-system’ is necessary to that system, and hence necessarily an ‘equal citizen’ with everything else. Hence I do understand where Hugh Evans (@enterprisearchs) is coming from, in his riposte of “Disagree – Digital is a huge accelerant to #Disruption and #EntArchs in the near term need to have a v strong grip”: in a sense, he’s absolutely right. But the danger – and I’m sorry, but it is a huge danger – is that there’s still such as strong pull towards IT-centrism in current EA that we do need to be explicit in mitigating against it at just every step of the way. Yes, “digital is a huge accelerant to disruption”, and yes, we do need to be aware of the potential affordances offered by each new technology, yet we must always to start from the overall potential-disruption opportunity/risk first – and not from the technology. That’s it. Hope that’s been useful, anyways: over to you? Not really inspired by this discussion. Taking a wide berth around the standard algebra of these conversations – IT, Business, Strategy, Innovation, etc….. I see organisations as platforms for solving problems of scarcity. (Non-profits too.) Organisations make viable activities that would not be viable without them. And they operate within economies that are determined by scarcities. Look at the recent globally paradigmatic disruptions and it is clear that some cases – iPhone v what came before – are outliers. Innovation that expresses itself in a direct organisational output – a new product, a new service, or a new business model is easy to comprehend and tempting to use as a cognitive model against which disruption in general can be stereotyped. But disruption at the scale of industry sectors and economies is far more relevant – because it is in being aware and responsive to these that is the main game for any enterprise. The interesting and well known paradigmatic cases – the music industry, retail, publication (especially newspapers), and even higher education – exhibit much misattribution of cause due to a failure to consider the configurations of scarcity that defined those industries and the factors that drove changes to scarcity and that expressed themselves as massive disruption to economies. For example, it is a truism that digitisation of music undermined the profitability of the unit in the old model – the album. But the real source of disruption was not the ease of illegal downloading and sharing. It was two fold – music companies had set up shop where costs of production and sales were high – recording and distribution. This expressed itself as scarcity of product. When it costs hundreds of thousands of dollars to produce, market and distribute the unit the product was scarce and consumers plentiful. Technology and the internet reduced the cost of producing, marketing and distributing music to comparatively trivial levels. There was always more talent available than the old production models could handle. The value creation mechanism for music was transformed from a centralised and hierarchical model where production was scarce to an open network where production is plentiful and consumption, by contrast, now scarce. Downloading exacerbated the change but did not cause it. Measures like DRM are stop-gap attempts to shore up the old model. Not bad per-se – such measures can buy organisations time to move their activity to where value is being created. Higher education also is seeing an inversion from scarce courses to scarce students. The more amenable to digitisation the product – the more likely centralised production scarcity will be inverted by emerging networks of production. This pattern is not exhausted – it will be coming soon to energy, manufacturing, and even politics. Enough – I will stop with a conclusion. A discussion on disruption and innovation that is solely output-oriented and focused on the internal dynamics of organisations isn’t to my mind a discussion about disruption at all – and is doomed to be reactionary.